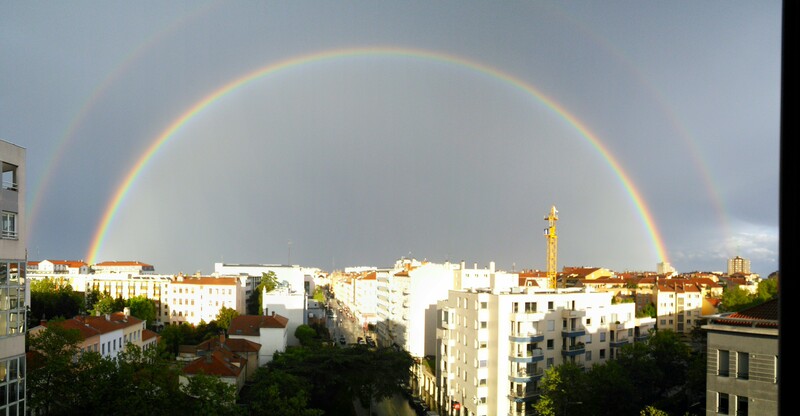 A double rainbow appeared across the expanse of sky we see from our apartment. Our walk home from church included a light spring rain while the sun shined down. My mom always called this a monkey’s wedding. Is there a phrase you use to describe a sunny rain?